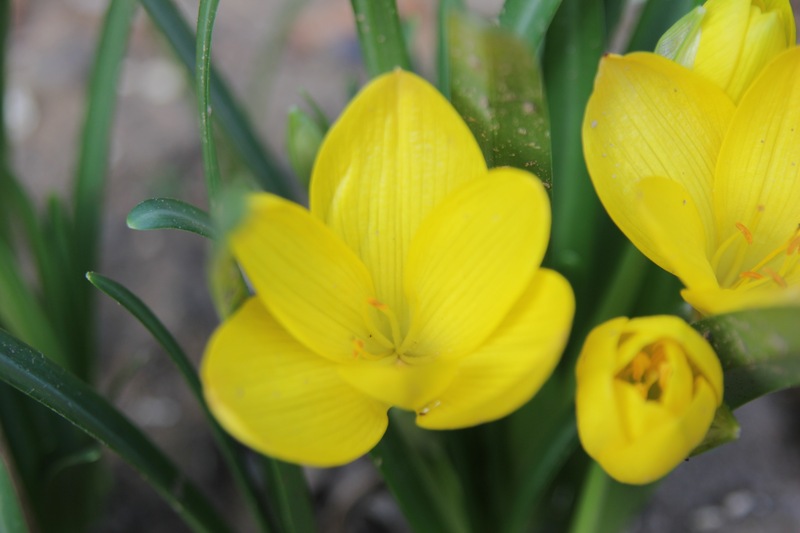 This weeks Plant of the week is a small bulb that delights us at this time of the year, with its bright yellow flowers. It’s also known as yellow autumn crocus, Autumn daffodil and lily of the field. It is a native plant of Western Mediterranean though into Central Asia where it can be found growing on grassy and stoney banks on limestone hills and mountain sides, both in full sun or slight shade. Sterbergia produces its glossy narrow green leaves in early autumn and will remain though the winter before dying off in the spring. The crocus like 15cm tall flowers appear a few weeks after the foliage appears and depending on the time of the year flower until later autumn. Although it looks like a crocus, it differs from crocuses as crocus have 3 stamens but sternbergia has 6. It can be grown outside in most of the uk although it does need a well sheltered and drained site ideally in alkaline soil, that will get sun during the summer to really bake the bulbs. That’s the key to getting the flowers, a period of dry hot weather. It makes an ideal plant to grow in pots again remembering the above. As it is a autumn flowering bulb, it’s best to plant the bulbs in late summer or divide after it finishes flowering. Next post: Wild about gardening week- a time to look at the basics of life in our garden? Now this is one that I have not heard of; and that does not happen very often.